BurnBright: Igniting Human Potential – [Blog] Georgia DreamTour Update! Comments Off on [Blog] Georgia DreamTour Update! It’s been about a week since I arrived in Atlanta to embark upon the BurnBright Georgia DreamTour. First let me say that I almost didn’t make it to Atlanta on time because somehow I picked up someone else’s luggage and was on my merry way to make a connection flight when I heard over the intercom that anyone with luggage that wasn’t theirs should return to gate C41. For some reason, something inside of me said check you bag and lo and behold I saw a pair of male gloves that sent doubling back with less than 10 minutes to my previous gate, to exchange bags and haul my a** to Gate A6. I was thankful to be the last person to board the plane. 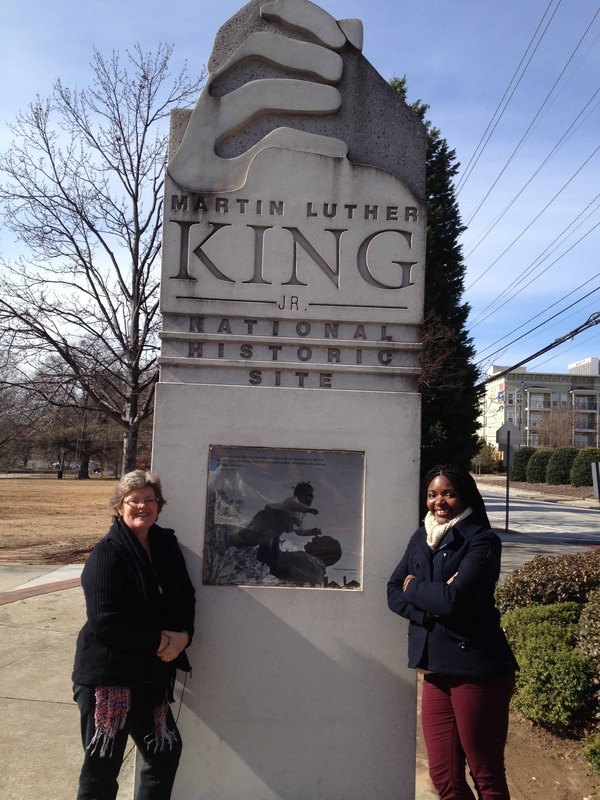 When I got off the plane, Juby Phillips, my host for the Atlanta and Albany, Georgia leg of the tour gave me a big squeeze and whisked me off to the King Center where we explored the legacy of Martin Luther King, Jr. on a deeper more experiential level. For some reason, on this trip, I ws more moved than usual by what he had to undergo in order to speak his truth and share his dream with the masses. Thus far, my entire journey through Georgia has been inspired by those like King who dared to dream differently. My visit to The King Center and the impromptu workshop I delivered at JavaVino were the highlights of the Atlanta leg of the tour. Albany, GA is Juby’s hometown. She was so excited to take me to visit Koinonia Farm where I was able to learn of the legacy of Clarence Jurgen, whose dream of providing a place in the segregated south where people of different races could live and work together in fellowship as equals sparked Habitat for Humanity. 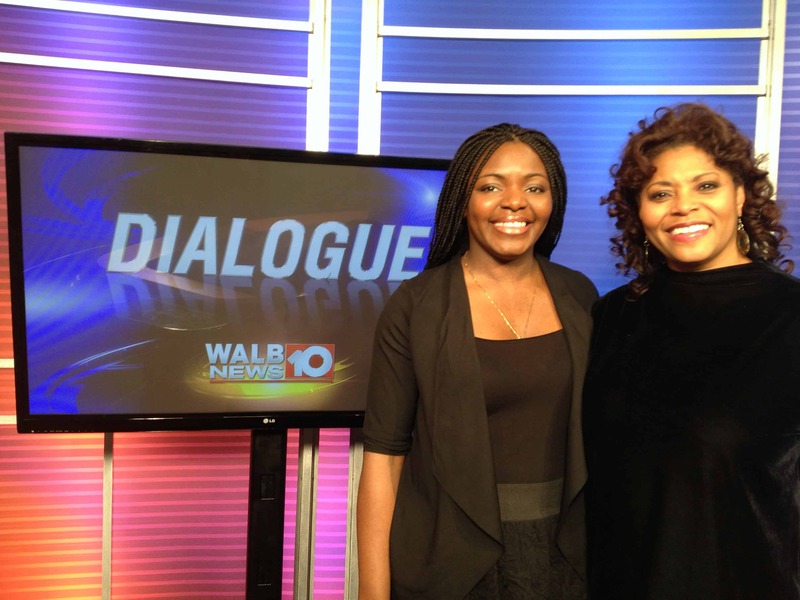 While in Albany, I was also honored to make appearances on FOX31 and WALB10 with Karla Health-Sands. While in Albany, I was invited by Harriet Hollis to deliver a youth talk and an evening Keynote for the South West Georgia Project, an organization engaged in helping to empower a new vision for what is possible in an area of Georgia, wrought with racial divides. I was touched to spend time with youth and adults alike, inviting them into the creation of a brighter future for themselves and each other. It was by NO means an easy conversation, but one that needed to take place. I left feeling drained, but also excited at having been fully engaged in doing my part to support the transformation required to create a better world that works for all. Tomorrow, I get to teach one of my favorite subjects: how to take your ideas and dreams and run with them! The event is called The Dream Intensive, and during this 6 hour session, I will share my latest teachings on how to connect to your possibilities and use your skills/capacities in such a way that you create a solid foundation that will enable you to be successful in all of your endeavors. For me, teaching this work is pure bliss!